Can Pope's Heretical Direction Be Plausibly Denied? There are some things we can’t know – that has been God’s point from the beginning of creation, so God demands fidelity. So, God calls us to fidelity to what we do know (and now we know a lot about God, thanks be to Jesus). The full knowledge argument concerning Amoris Laetitia is a distraction, for it can lead to the belief that we somehow participate in divine knowledge (that is what Plato thought). That’s not the point. We gain knowledge through fidelity. What is important is knowingly being faithful or unfaithful to God, and not trying to justify behaviour through weighing up arguments about what is good/bad. What is important is our relationship with God. The fundamental option argument is also a distraction (from memory it was JPIIs way of correcting Rahner). What no one seems to be able to grasp is that “whatever does not proceed from faith is sin” (Rom 14:23). And no one has reflected enough on: “You must not eat from the tree of the knowledge of good and evil, for when you eat from it you will certainly die” (Genesis 2:17), by falling into sin! Bottom line – we are not able to weigh up what is good or evil. 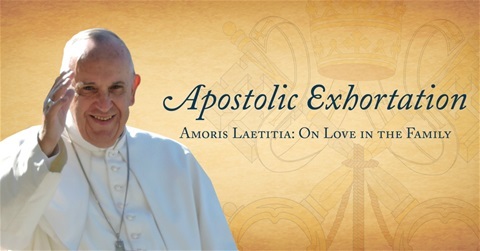 When we think we can, we end up with arguments like: “it is possible that in an objective situation of sin – which may not be subjectively culpable, or fully such – a person can be living in God’s grace” (Amoris Laetitia, 305). To the contrary, because a person justifies sinful behaviour through reason, that doesn’t mean that person was faithful to God. Persons living in sin are culpable, because “no one is deemed to be ignorant of the principles of the moral law, which are written in the conscience of every man” (Catechism, 1860). In principle, all people know God prohibits those objective situations. Nothwistanding their level of knowledge of their behaviour (which can be erroneous, and a mitigating factor), people still know they are being unfaithful to God. It doesn’t matter how we try to justify our sinful decisions (i.e., by the insidious proportionalism inherent in Amoris Laetitia), if we are unfaithful we sin. There are some things we can’t know – that is God’s point, so God demands fidelity! “One must therefore reject … proportionalist theories, which hold that it is impossible to qualify as morally evil according to its species — its "object"— the deliberate choice of certain kinds of behaviour or specific acts, apart from a consideration of the intention for which the choice is made or the totality of the foreseeable consequences of that act for all persons concerned “ (Veritatis Splendor, 79).